Happy to help! Lots of experience in this field of work and have gained a handful of great feedback. I can do a full SEO optimization of your site boosting your organic traffic, sales and leads through your Google and search engine ranking boost, all of my SEO services are white hat and do not affect the content or main structure of your site, I can also provide extra customer experience and I won't stop until the job is fully finished. Please take a look at my portfolio to view similar examples of my work. My quote is for a quality job including the 22% airtasker fee, if you are not satisfied it is a full refund no questions asked. Can start straight away! i would also like to mention that i am fully google adwords and google analytics certified so you would be working with a google certified partner which should give you some peace of mind. I have worked on countless websites to increase their traffic and web ranking through more than a decade of SEO experience in the field working for local Australian agencies as well as online as a freelance consultant and I have the experience, skills and knowledge to get you to where you want to be on the web. What is the niche/ area of your site? In addition to my previous comment i would like to add all the inclusions that i am able to do for your site for the proposed price. I provide a quality service with years of experience in the SEO field something other taskers just cannot match hence the price reflects this as well as the 22% AT fee. I went through your requirements . It seems I would be a good fit for the position as I am having an experience for 4+ years with Social Media Marketing (SMM) , SEO and SMO both paid and organic. Have a worked with various clients for SEO, SMM and SMO work and was able to help them out with their business to generate the traffic on their website as well as generating good revenue / sales through various strategies for Social Media Marketing as well as SEO . Can do On-Page as well as Off-Page Optimization. This basically includes analyzing the website. Based on that I would be able to suggest the best from my end . Would you mind to share the url of your website so that I can review it ? I would suggest to have a Skype chat for the better discussion . Please feel free to contact me directly om Skype anytime , my Skype ID is psolanki3272 . I am really interested in your project. I own an established website and SEO company located in Adelaide CBD. Our clients include Universities, large festivals and franchises. I am personally very experienced with SEO and would be able to help you. I can provide you some examples of Australian clients who are ranking on page 1 in just a number of months. If you'd like to chat further, you can call our office number on 1300 350 957 or contact me personally on 0430 722 102. 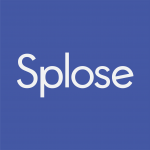 You can also visit our website Splose.com.